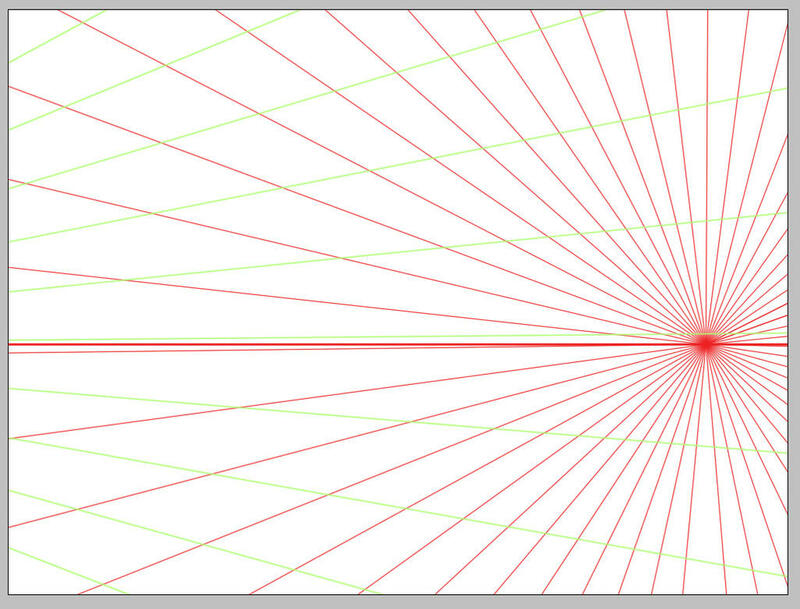 You can draw symmetric lines starting from a center with the symmetry tool. create a large canvas that can hold the center point and where the half of the image is the maximum distance for the image where you want to use the grid. I use 1000x1000 in this example. 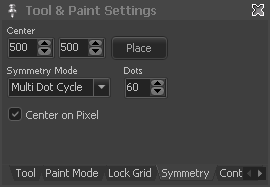 In the Tool & Paint Settings window go to tab “Symmetry”. 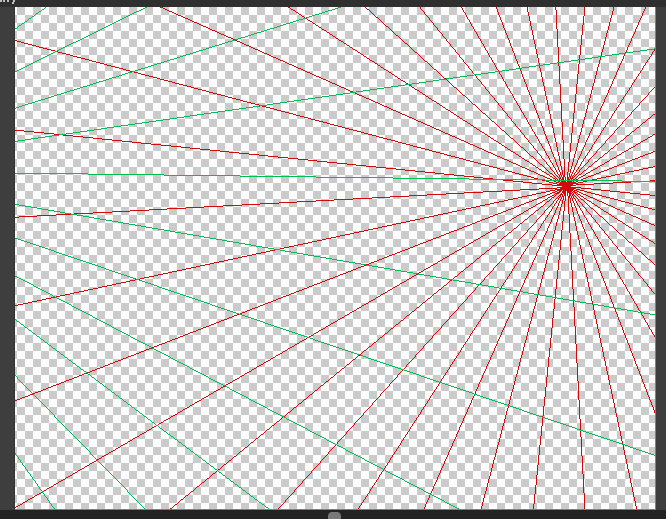 Place the brush an the center point (500x500 in my sample) and draw a line horizontally to the left leaving the canvas. Now you have “perspective lines”. Pick the image as a brush (menu Brush/Grab Frame as Brush). Maybe use menu Brush/Make single Color to make this image brush being a single colored brush that changes the color when you pick one from the color palette. Now go to the project where you want the grids. Add a single image layer, select your colors and place the brush where you need it. To better go off the canvas you can use different brush grip positions (menu Brush/Grip) and small zoom levels. Involves a couple of steps, but could be better than hand draw every line. Also you can save such images as templates for later use. I also think that the whole purpose of these guide would be to be able to readjust them via draggable handles, save presets, etc. Also, instead of being in pixel-art styled lines (i.e. with grainy square when zoomed) they should be “vector style” lines, a sort of GUI overlay that is not part of the actual image and that remains in thin lines regardless of the zoom level. Indeed, for those who wish to draw 3D pixel art this would be a great feature. My post was only meant to be a workaround for a (yet) not existing feature. One day it might find the way into PM. I also want to redo the current grid system and maybe this can be combined then.